Tackling a pretty common issue by using comedy and an all-star cast, Tracey E. Edmonds and T.D. 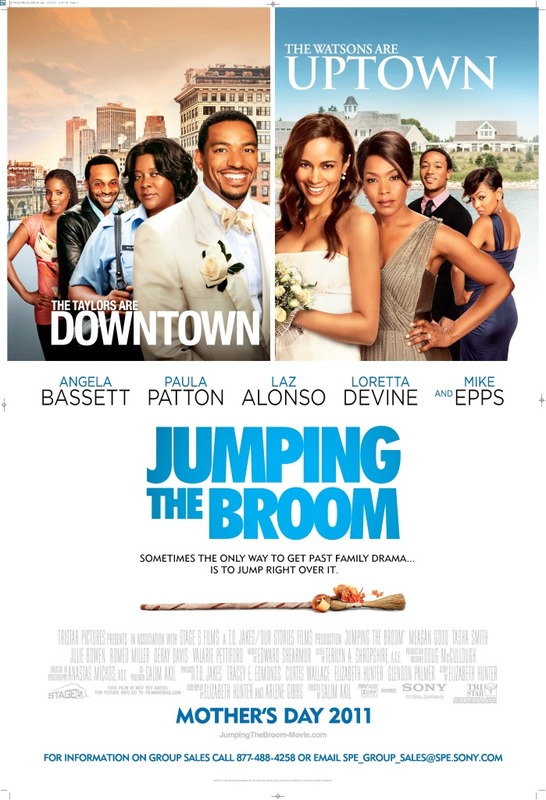 Jakes joined forces for Jumping the Broom. The movie deals with a couple who’s families are from different socioeconomic backgrounds, and how they interact when the lovebirds plan their wedding in Martha’s Vineyard. The film’s impressive line-up features Paula Patton, Laz Alonso, Angela Bassett, Loretta Divine, Mike Epps, Meagan Good, and Romeo Miller, and hits theaters on Mother’s Day, May 6, 2011. I'M GOING TO WATCH THIS.. ARE YOU?